I have cats in my home, and here's why: they provide unconditional love and acceptance. That's it! Of course, they also provide fur, hairballs, messes, and litter boxes to deal with, but none of that overrides the love they give me. Cats can use different types of vocalizations for different people. Cats may prefer human company over food, toys, or good smells (A.R.Udella, 2017). Cat purrs fall into the same frequency of sound that has been shown to aid in bone and wound healing and joint and tendon repair. Cats have personality traits that are similar to the ones that humans have (Carla A. Litchfield, 2017). I'm a veterinarian, so I enjoy reading research, but I'm also a cat owner (or should I say cat caregiver because no one can really owns a cat), so I know all about the bond that can only be touched on by science and is more felt by the heart. I've used both to create my Purrfect Post products. I've combined my knowledge of the science of what cats want to scratch with my love for cats and desire to help in the fight against declawing to design and build my scratching posts. And my clients and their cats love it. We recently implemented a new way for people to leave reviews for us. 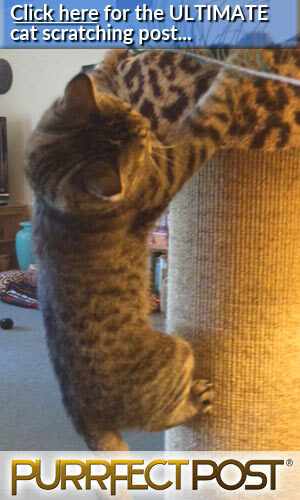 They can send us pictures or videos of their cats using our products, and they've responded in a big way. You can leave your review for us, too, and you'll get a coupon code for $10 off your next purchase once we accept it: Submit a Review. 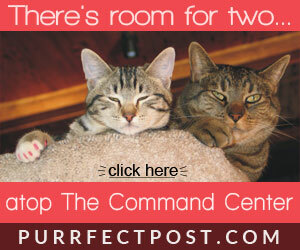 At Purrfect Post, we blend the science and spirit of sharing our lives with cats and building products for them. We end up with the best of both worlds.